Are you good enough to fish for England at the World Youth Championships? The application forms for the 2009 Sensas Team England Under 18s and Drennan Team England Under 22 teams that will compete at the World Youth Championships in Portugal are now available for download from the Angling Trust website, www.anglingtrust.net/youthtrials2009. Following the unprecedented double gold success for Matt Godfrey and Callum Dicks at the 2008 Championships in Belgium, as well as the team bronze achieved by the Sensas Team England U 17s, the standard of angler needs to be of the highest level. Applicants must impress both Mark Downes and Steve Sanders the England Youth Team Managers, who will once again be tasked with the search for the finest young talent this country can provide. 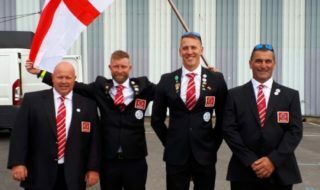 Successful applicants will represent England in this year’s World Championships taking place in Portugal on 25th and 26th July. 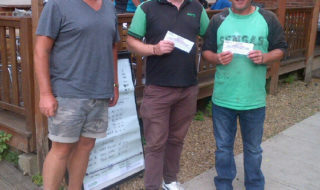 Mark Downes adds, “The River in Portugal is a great venue and will favour the better waggler anglers. 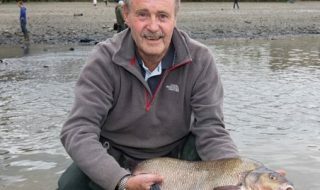 Small barbel and carp are the quarry and long distance feeding of sticky maggot with wagglers up to 16 gm will be required. The pole will also play a major role especially on the U 18s match length where the water runs a little deeper. All completed application forms including nominations plus references must be at the Angling Trust by no later than 8th May 2009. The trials will be held in late May in a venue to be confirmed shortly. Forms should be sent to Angling Trust, The National Water Sports Centre, Adbolton Lane, Holme Pierrepont, Nottingham, NG12 2LU.